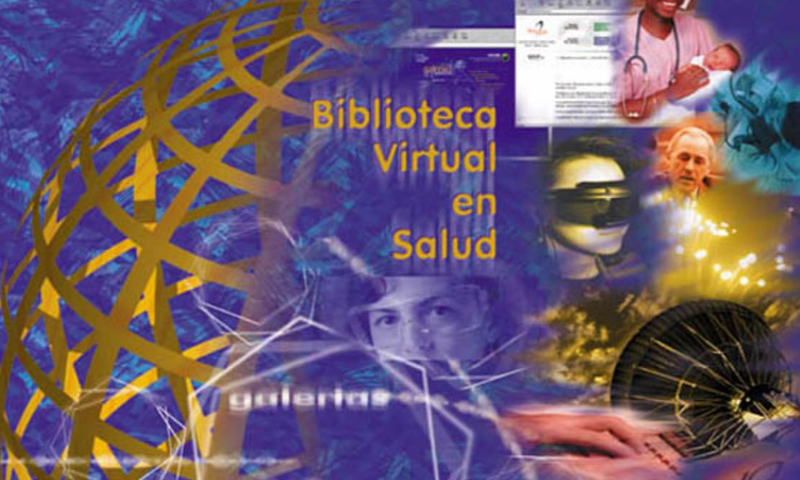 Photo: Virtual Health Library . Culture, defined as “information transmitted by social learning”2, has the library as one of its main agents. Mankind inherits in each new generation the preserved collections of millennial cave paintings from European caves and the greatest of all in the fascinating Serra da Capivara3; the cuneiform writing plates created by the Sumerians; the Egyptian manuscripts, those of the Dead Sea, whose discovery completes its 70 years anniversary on November 29, and those of the Middle Ages so zealously copied in the monasteries; the collections of books and journals that followed the 1450 Gutenberg Bible, now printed with the combination of the same movable types that, with zeros and ones, were initially composed by metal alloys that evolved in more than 500 years to the digital type that conforms the contents of the universal library envisioned in Alexandria and so desired by the powerful, but that structures itself dynamically and evenly with the Web. Such as Borges engineered the universe of the infinite hexagonal galleries of all the possible books of his Library of Babel4. In the last 20 years the Web has made us real the concept of library as an extension of our mind and source of information and knowledge to better explore the universe, nature, our past and everyday life, transform the present and project the future5. Today, it is usual to access the universal library through cell phones with increasing physical intermediation with our brain. How nice! For it is the ease of access to books, scientific journals and other types of publications that have been supporting the education of children, the young and adults and especially scientists, professionals and technicians for thousands of years. The availability of access to information and knowledge is for us, individuals or groups or societies, a social determinant of capacity for action, of making informed decisions, of improving the environment and contributing to a better future. But, in the XXI century, mankind still faces the challenge to overcome deep social inequities. Among these, the inequities of information are the most perverse by its power to generate and enlarge all other6. The ubiquitous access to the Web turns the virtual into real and makes far more distant those repeated pilgrimages to library buildings and shelves of generations and generations of students, teachers, researchers, professionals, and citizens to learn, know and communicate what we know and what we are today. The traditional invisible colleges for information exchange between researchers and practitioners are recycled and refined into social networks of researchers who, in addition to interacting without space or time limitation, host thousands of personal or group libraries. The new post-library has arrived! Functionally, it is the same as always. Collective and individual health, in all phases of life, is the social dimension in which the value of information and knowledge is perceived as being more dear to society, either on the training and practice of health professionals, on the advancement of research on prevention and cure of diseases, or on the decisions of the authorities and on the functioning of health systems. In fact, access to information is a social determinant of health. It was precisely in health sciences that Brazil started and developed a remarkable capacity to provide broad access to scientific information. Fifty years ago, the Federal Government, together with the Pan American Health Organization/World Health Organization (PAHO/WHO), established at Escola Paulista de Medicina (EPM) of Universidade Federal de São Paulo (Unifesp) the Biblioteca Regional de Medicina (BIREME), in response to the growing demand for biomedical information and as part of a set of international scientific information centers of Medical Literature Analysis and Retrieval System (MEDLARS), “a child of the scientific revolution”, promoted by the National Library of Medicine of the United States (NLM), the most important biomedical library in the world7,8. BIREME pioneered several dimensions, practices, products, services and solutions of scientific information. It led the establishment of networks of libraries and information centers in Latin America and Caribe with the operation of services of photocopied articles sent by mail, in the control and registry of the scientific literature in health published in the region, first in paper with the periodical publication of the Index Medicus Latinoamericano (IMLA) and later with LILACS (Latin American and Caribbean Literature in Health Sciences) database, complementing MEDLINE, the most important bibliographical source in health sciences. The incessant search for mechanisms to democratize access to information has been the political and operational priority of BIREME since its foundation, before and after the Web. BIREME produced and distributed the first CD-ROM of bibliographic health databases and the first online service of access to databases of articles and scientific evidence in health among all developing regions. The maintenance in Portuguese and Spanish languages of the Medical Subject Headings (MeSH), the main international scientific vocabulary of biomedical concepts, endows Portuguese and Spanish languages with the same semantic capacity as English in the treatment of scientific advances in health sciences and annually updates the terminology used by teachers, students, researchers and health professionals. Multilingualism is an important dimension of scientific information and communication in Latin America9. With the advent of the Web, BIREME has advanced the operation of its technical cooperation to the Virtual Health Library (VHL) as a public good common space for the storage, publication, access and interoperability of content, information products and services and interaction space of producers, intermediaries and users of scientific information10. The Declaration of San José Towards the Virtual Health Library approved in the 4th Regional Conference on Health Sciences Information (CRICS IV) represented a remarkable and pioneering decision by the countries of Latin America and the Caribbean in favor of a collective action to promote the adoption, for the first time in its history, of online operation of libraries and health information systems11. In the context of the VHL, BIREME, in addition to the health sciences, collaborated with key institutions in library and information science, with emphasis on the United Nations Educational, Scientific and Cultural Organization (UNESCO) and its Information for All Program in line with the promotion of the information society and knowledge. In Brazil, the collaboration with the São Paulo State Research Foundation (FAPESP) in creating the Scientific Electronic Library Online (SciELO) project of online scientific journals in open access12 and the project of online access to the collections of publications and databases of the main scientific publishing houses that was absorbed and expanded by the Portal de Periódicos of the Coordenação de Aperfeiçoamento de Pessoal de Nível Superior (CAPES)13. SciELO and the Portal de Periódicos CAPES together represent the major contribution to the democratization of the publication and access to scientific information in Brazil and models adopted by other countries. The perspective of “information for all”14,15,16 that motivated twenty years ago the creation and development of the VHL is becoming a reality. In Latin America, nearly 100% of health scientific publications is in open access. Globally, it is estimated over 50% of scientific articles in open access. However, at BIREME’s 50th Anniversary, the scope and functions of librarianship and information science are as strained as they were two decades ago. One of the main forces comes from the open science movement that advocates openness and transparency in all stages of research – projects, analysis plans, previous study records and results expressed in texts, data, materials and organized methods, each as independent content, uniquely identified, both data and their metadata, and persistently available in repositories. The library as a space of information sources networks is proactively present in all phases of research in the collection and provision of information sources. The conceptual and methodological structure of information sources of the VHL encompasses the research continuum and must be enriched and enabled operationally and technologically17. This same practice shall progressively prevail in health systems and services programs and projects, with openness and transparency at all stages. Another strength comes from the need to empower the adoption and implementation of programs and lines of action in support to the United Nations’ Sustainable Development Goals (SDG) according to national conditions and priorities, which requires the dynamism and flexibility of the library to promote contextualization and interoperation of information sources by themes and publics envisaging to overcome the inequities of information. 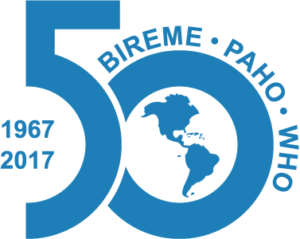 The perspective of the renewal of the VHL as an open science space and its contribution to the 17 SDGs will mean a rescue of BIREME’s tradition of leadership in library science and technical cooperation in scientific health information and a special reason to celebrate 50 years. 1. ELIOT, T. S. Four Quartets. Boston: Houghton Mifflin Harcourt, 1968. 2. MOSTERIN, J. La Cultura Humana. Madrid: Espasa, 2009. 4. BORGES, J. L. Ficções. São Paulo: Companhia das Letras, 2007. 12. PACKER, A. L. The SciELO Program and Gold Road Open Access. In: SCHÖPFEL, J. (ed.) Learning from the BRICS: Open Access to Scientific Information in Emerging Countries. Sacramento: Litwin Books, 2015. 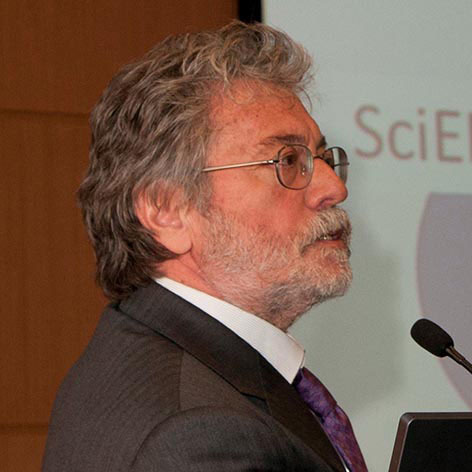 Abel L Packer is Project Coordinator at FAP-UNIFESP and Director of the SciELO / FAPESP Program. He was BIREME’s Director from 1999 to 2010.